The Addenbrooke’s GCP team has had a busy week in board rooms, hospital wards and operating theatres. Coordinated by Aditya Nigudkar, the team connected with approximately a dozen different health care providers and managers across different specialties as part of their qualitative research. 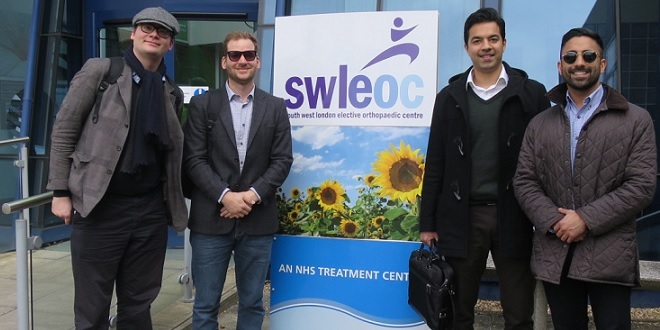 Kit Hobbs organized a site visit to South West London Elective Orthopaedic Centre (SWLEOC) in Epsom, to attend a presentation by Director Steve Thomas. They learned valuable lessons in hearing first-hand how the centre was founded, endured through its early years and eventually established itself as a worldwide leader in orthopaedics. They were given a tour of the wards by the Director of Nursing, Lynn Bryan, to demonstrate the physical layout of the hospital, which is integral to its success. Spearheaded by Dante Palazzo, the quantitative analysis portion of the project analyses anonymised data from Addenbrooke’s Hospital to support the findings obtained from the qualitative interviews and case analysis. This has been particularly challenging in the scope and technical nature of the data, but the team has utilised its resources in clinical expertise and statistical analysis to assist in this domain. 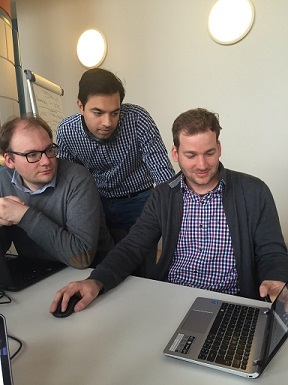 Prof. Stefan Scholtes, Prof. Feryal Erhun and Michael Freeman have been particularly helpful in extracting the most valuable information from the data and guiding the team in the right direction. 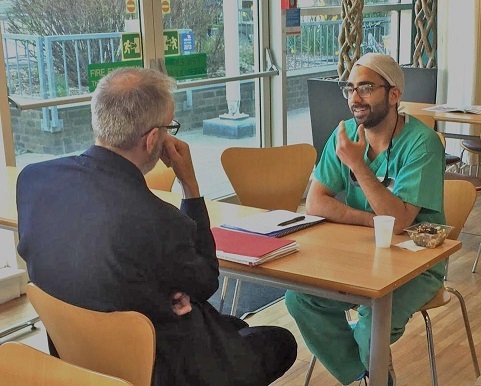 Neil Dubey had the opportunity to conduct ethnographic research in the operating theatres of Addenbrooke’s Hospital. As a medical student, Neil is no stranger to this setting. However, this time, he traded his stethoscope for a clipboard to focus on the operational flow of patient care in a high-volume surgical bay. Observing transitions between surgeries and speaking with scrub techs, senior clinicians and nurses provided the team key insights to move forward with their study on recognising unique goals for clinical care among different health care providers. A salient theme throughout this project has been applying concepts learned from the Lean Six Sigma (LSS) Green Belt course, taught by MBA Director, Dr. Jane Davies. Coincidentally, all four team members completed this course during the Lent term. Although this Global Development Project is not directly tied into the experiential component of the LSS certification, the tools that they were presented with during the course have been helpful in identifying quality goals of a hospital’s vision.